Do your Hardwood Floors Need Some Love in Hanahan? Are you looking to restore your old, worn-out hardwood floors? At Fabulous Floors Charleston, we’ve developed and established a superior system for hardwood floor refinishing in Hanahan, SC. Our floor renewal process is simple, but is very professional and will give you the results you’re looking for. First, we remove any remaining carpet. Next, we use a specifically designed solution to detach any residue that may be left behind by the carpeting. Then, we sand your existing wood floors and fix any noticeable dings or scratches. Our sanding process is virtually void of dust as well. After sanding, we stain the wood with the color of your choice. The last step in our wood refinishing process serves two purposes: we add an event coat of polyurethane to both protect your floors from future wear and tear and also to provide an extra shine that takes us a step further than our competitors. At Fabulous Floors, our hardwood floor refinishing process is sure to leave you satisfied and happy with your new floors! We love the Hanahan area as much as you do. Our promise is to do all we can to make your home match the beauty around us. We are professionally qualified to perform hardwood floor renewing services with the best equipment, ensuring you the best result possible. All of the tools and products we use, as well as our services, are GREENGUARD Certified. This means they are safe for you AND the environment. We also train our professional technicians to go above and beyond in all that they do. In addition, they are knowledgeable about the best wood refinishing techniques. Take a look at our customer reviews page to see what your friends and neighbors are saying about us and our services. Call us today for a free price estimate for refinishing with no obligation. 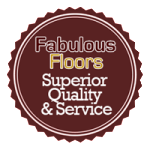 At Fabulous Floors Charleston, we’re here to help and look forward to hearing from you! Contact us today to learn more about Fabulous Floors Charleston’s hardwood floor refinishing in Hanahan, SC!